A place for everything and everything in its place. No matter what size your sewing room, the compact GO! 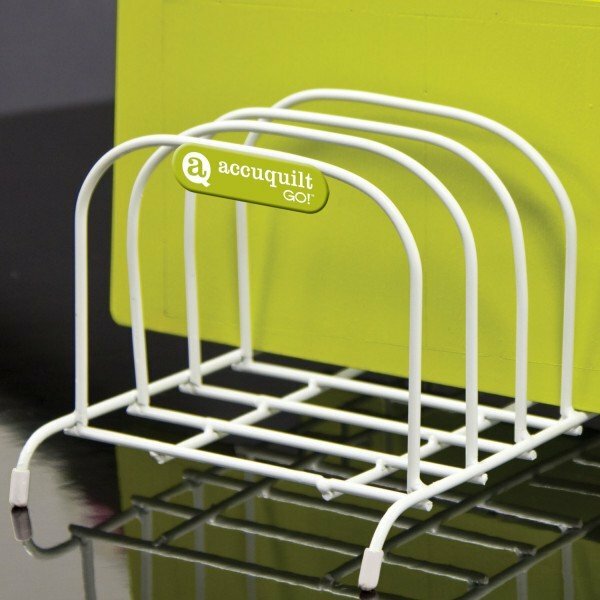 Die Storage Rack is the perfect solution to keep your GO! Fabric Cutter dies and mats in check. The wire rack is vinyl-covered to protect and hold up to eight dies and mats. Smartly organized!